Not sure how I missed this one !!! 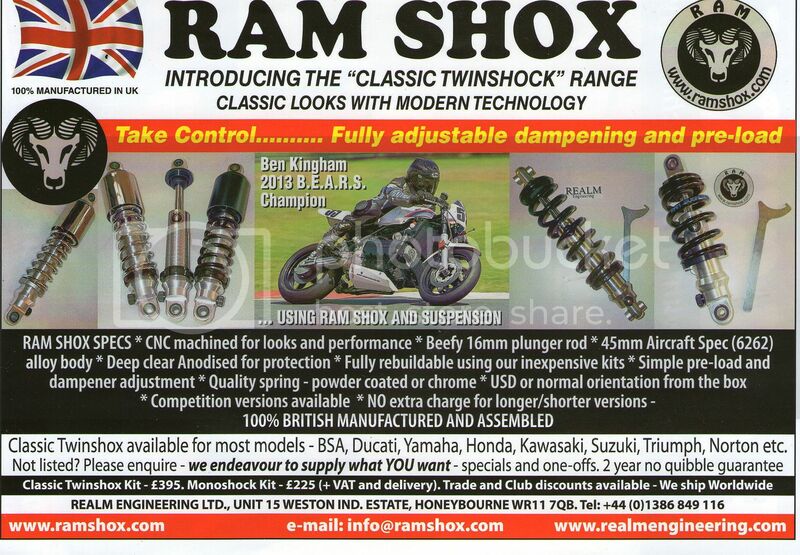 OK - loads of news on the RAMSHOX product front. First off a reminder that DTT SITE SUPPORTERS get a 10% discount - and you do NOT [ Canada / US ] pay UK VAT [ Value added tax - 20% ]. 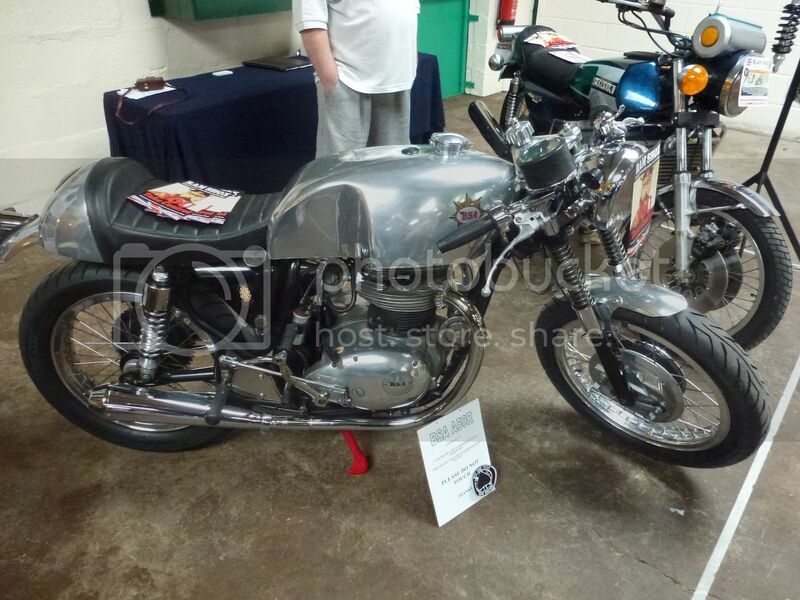 Since then, we've developed the range to include most classic Japanese, British, Italian and German bikes. 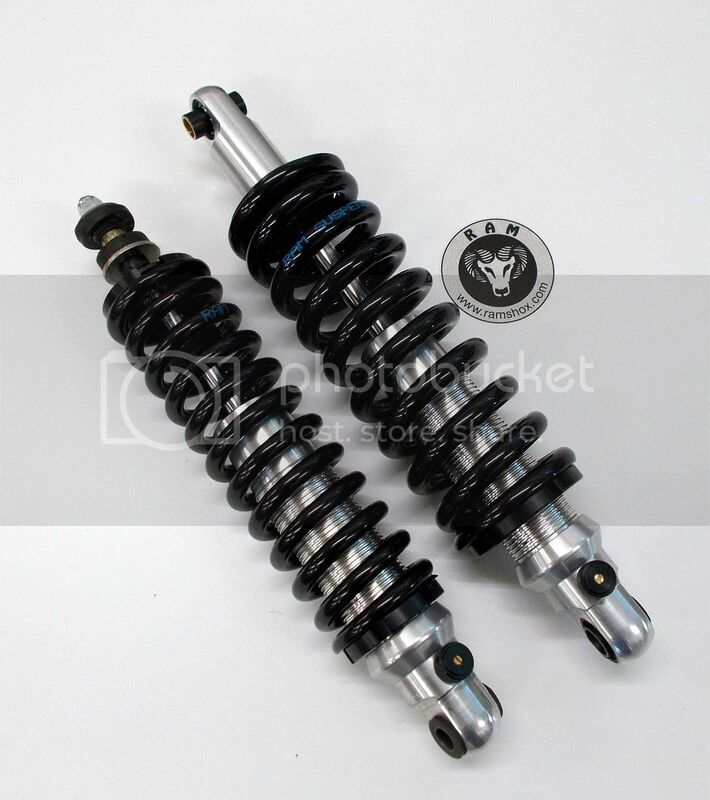 AND with help from guys on this forum [ Miffa in particular ] we have created a range of Classic looking shox - Long / short / medium top shrouds in Black and Polished. Black or chromed springs and a range of top and bottom mounts. In other words, we listened to what our customers were asking for - then made it ! Goes without saying, there's a 13 spot dampening adjustment [ simple click knob - no tools required ] and an adjustable spring platform to set the sag / pre-load. Spring is top quality Swedish steel wire. 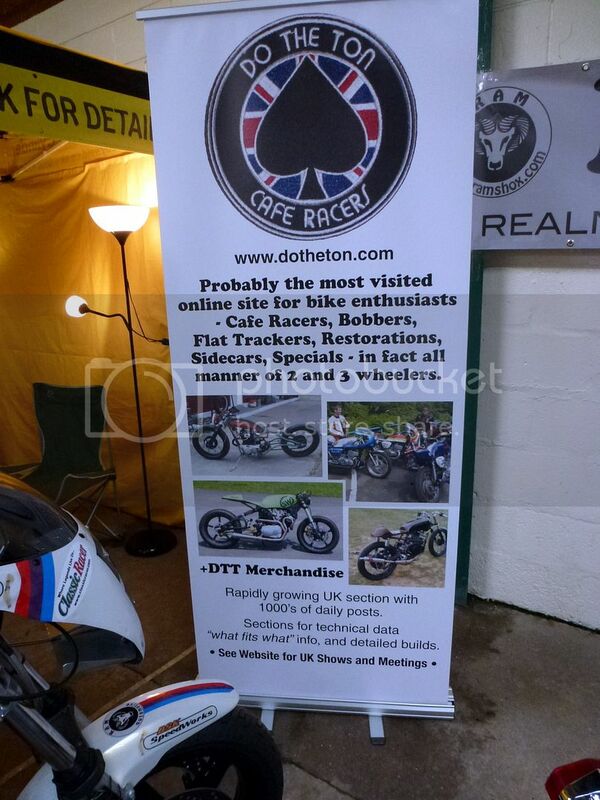 Did we mention that one of our racing customers won the B.E.A.R.S. 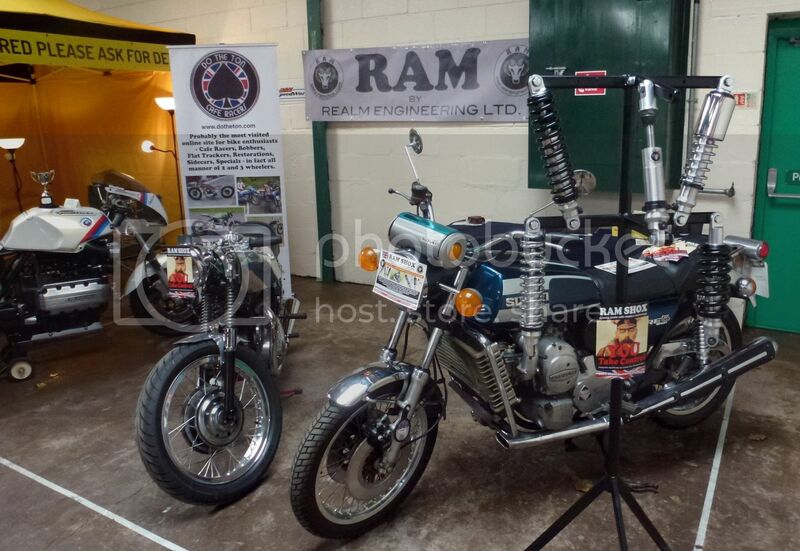 Championship outright with his RAM equipped BMW K100 ? DTT members contributed greatly to the feedback in our market research - for which we give thanx. for more info. visit www.ramshox.com.